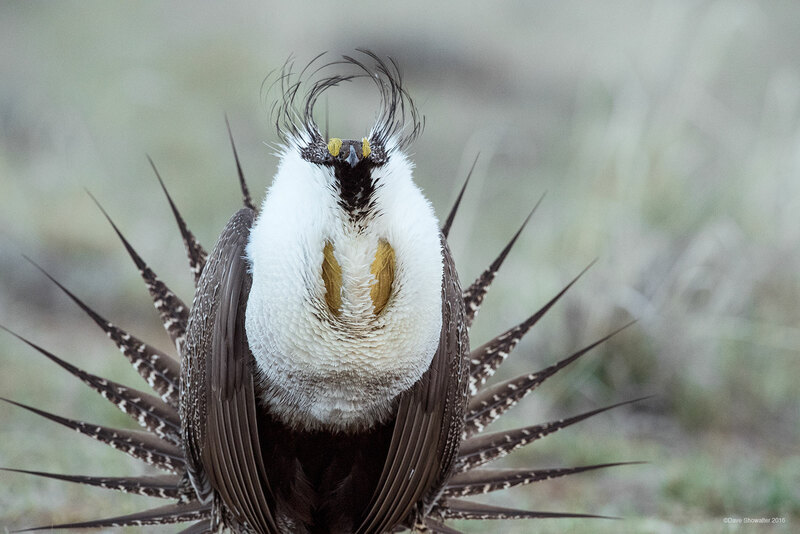 With spiky tail feathers, puffed up air sacs, and extended filoplumes, a male Greater Sage-grouse displays for a nearby female. The lek or mating ground is located on remote BLM land in Moffatt County, a beautiful open landscpae of sagebrush - perfect Sage-grouse habitat. Photo © copyright by Dave Showalter.